Contact our Customer Service Team with your questions regarding downloadable products and any error messages you receive while trying to place an order. All order inquiries should be directed to this team as well. All downloadable products require a high speed internet connection via WiFi or your cellular data network. Please do not attempt to use a dial up connection. FYI: Once you're on the HANA HWY (past Paia), cell signals get very weak & WILL NOT DOWNLOAD! You can access your download in two ways. First, simply click the link under "Download Your Purchase" on the receipt page of the checkout. If you have already closed that window, that's okay. You were sent an email of your receipt and there's a link to download your product there as well. With a normal internet connection on your phone, it should take 5-20 minutes to download. Download time depends on your cell/WiFi connection. 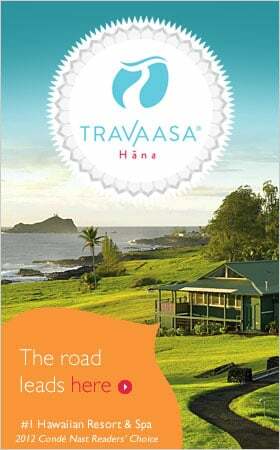 FYI: Once you're on the HANA HWY (past Paia), cell signals get very weak & WILL NOT DOWNLOAD! PLEASE READ: When you click the download link, you might experience a blank screen as if the link doesn't work. It does work; it's just downloading in the background. Once the eBook file has downloaded on your iOS device, you'll be prompted to "Open in Books" (traditionally know as the iBooks app). You must have Apple's Books app on your iOS device to use the R2H Digital Guide. – iBooks stops playing the audio if you leave the app or if your iOS device auto-locks. – if you have an iPhone 7 or 7+, don't forget your Lightning-to-Aux Audio adapter! – make sure your rental car has an Aux Audio Input & bring an 3.5mm Aux cable! When the dialogue box appears, select "Save File to Disk" and select your desktop as the destination. Go to your desktop and find your downloadable goods. You are done! Our files have been zipped (compressed) to decrease download times. Both Windows and Mac OS have built-in software that will convert the zipped file into a usable file when you click on the file to open it. If you are trying to download the .zip file directly to a smartphone or tablet, you will need an app for that! Read these quick instructions help. We have chosen USPS because it's cheap, reliable, and it only takes 4-5 days to reach your front door. Allow up to 2 additional business days for order processing. Most orders ship same day! We ship our products to countries that accept International Flat Rate Envelopes from the USPS. If you do have a U.S. Compatible debit card, or a PayPal account, we would recommend our downloadable product - no shipping charges, no customs fee, no waiting.